Description: A curiously flattened variety with red and cream skin and white flesh. Sweet flavour. Known by many names. Chinese origin. 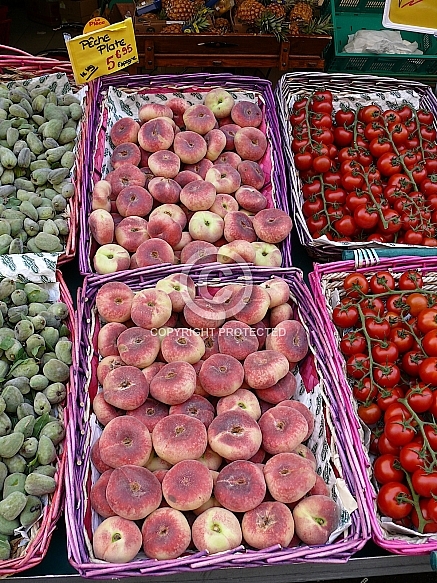 Our image taken in a market in Provence, France.